In the wake of Telltale’s closure and the abandonment of a lot of episodic video game experiments like 2016’s Hitman reboot, it’s easy to think that maybe the format has had its day. Then a new episode in Square Enix and Dontnod’s Life is Strange series comes along as a reminder that episodic games, done properly, are a viable and effective concept where the only major hurdle is bringing new episodes out in a timely fashion. The first episode of sequel series Life is Strange 2 began a new story in the franchise’s universe that showed huge strides made in storytelling, gameplay and art direction from developer Dontnod. Now with Episode 2, titled ‘Rules’, the real task was to keep the momentum going after a four-month wait. Rules opens with a recap of the previous episode’s events, told by Sean as a story to Daniel about two wolf brothers, which is a fitting and elegant take on a traditional recap sequence. 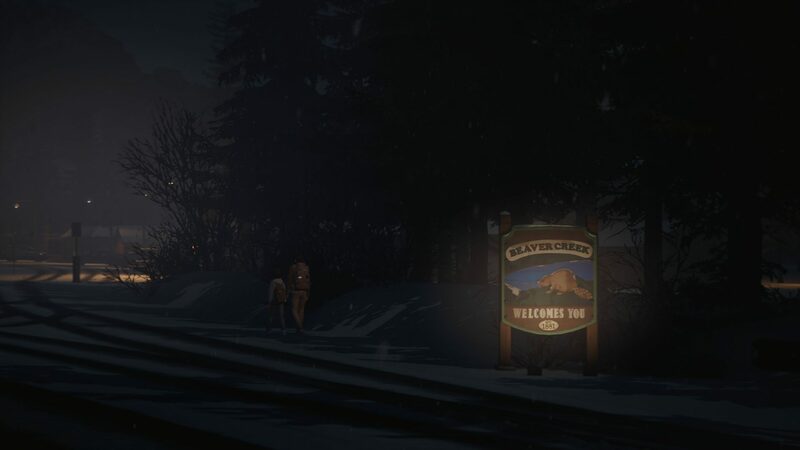 We then find the brothers, having made small progress on their fugitive journey to Mexico, hiding out in an abandoned shack by a river in an Oregon national forest. There, Daniel has been slowly trying to control and understand his mysterious powers under Sean’s guidance. 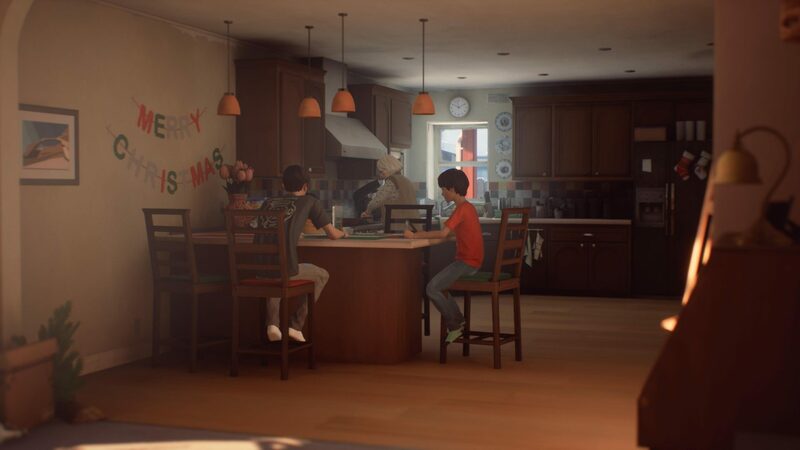 It’s clear that some time has passed in-between episodes, and Dontnod have done their usual excellent work in building rich scenarios and stories, peppering the boys’ immediate environment with visual and interactive hints as to what they’ve been up to. After Daniel starts to show signs of illness, the boys decide that their best course of action is to escape the cold wilderness and find their estranged grandparents, heading to their home in Beaver Creek, where the bulk of this episode takes place. Rules is a decidedly quieter and more restrained episode than the heavy and danger-fraught Roads, though that doesn’t make it any less tense. Confined to their grandparents’ home, away from the outside world, Sean and Daniel don’t need to fear the prejudices of strangers so much as the expectations of their family. In such an intimate and vulnerable setting, even the smallest amount of mistrust or guilt can make every moment feel uneasy or even unsafe, and Rules uses that dynamic to great effect. Much of the episode focuses on Sean’s instinctive responsibility for Daniel’s wellbeing in balance with Daniel’s desire to understand more about himself, his newfound abilities and his estranged family. Without going too much more into the episode’s events, Rules also ties directly into Dontnod’s free prequel The Awesome Adventures of Captain Spirit, so it’s a very good idea to have played that first. Among characters from Captain Spirit, the episode also introduces a few new ones that will no doubt be making a return in the future. All said, Rules as a whole definitely feels like a lot of setup in advance of some more important events down the track. That’s not necessarily a bad thing though, and it does do a great job of building atmosphere, exploring the narrative and injecting some tension into the mix as well. One of this new series’ biggest achievements and the reason it puts Telltale’s work to shame is it doesn’t rely on its moments of player choice to artificially illicit an emotional response. Life is Strange 2 does make a point of highlighting choices that will have a significant impact on the story, but it also provides plenty of opportunity for your choices or actions to be felt in smaller ways. Even if the same event is destined to happen in any playthrough, the means to those ends are often player-driven in subtle but meaningful ways. As usual too, everything looks and sounds gorgeous with Dontnod’s attention to detail in their art, their composition and their direction really shining through. Coupled with the music of Sufjan Stevens, Mt Wolf and First Aid Kit, Rules feels every bit the episodic drama that it would in any non-video game format. The only slight gripe with this particular episode is that there were a few moments where audio cues would stack up, resulting in Sean and Daniel talking over each other or out of order, though most of these were incidental to how I was playing and won’t affect every playthrough. Life is Strange 2’s second episode tones down the danger and excitement of the series’ debut without sacrificing tension or drama. It can feel a little like it doesn’t go anywhere, but it’s a necessary stopgap and sets up future events perfectly. I only hope that the multiple groups of new characters introduced aren’t a one-off and make more future appearances in the series, and that the next episode comes along sooner.